A petition on the Prime Minister's website calling for publication of a report on the work of Operation Grange has attracted over 900 signatures so far. 1. 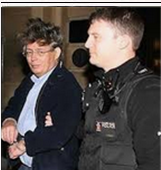 On 14 October 2013 on BBC Crimewatch, DCI Andy Redwood presented two e-fit images of a man he said was 'the centre of our focus'. He asked people to say who he might be. He announced days later that hundreds had called in with a possible identification. Are we, the public, still supposed to be looking for him? Or has been traced, identified and eliminated? 2. 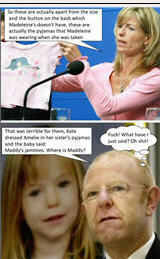 On the McCanns' 'Find Madeleine' website, there is an image of a faceless man - whom the McCann investigation team still say is a suspect - wearing a dark jacket and beige trousers, which was drawn up by Melissa Little, paid for by the head of the McCanns' private investigation team, Brian Kennedy, based on the recollections of Jane Tanner, and released to the public in late October 2007, nearly six months after the reported disappearance of Madeleine McCann. Is Operation Grange still asking (as they were previously) for the public's help in tracing this man, as well as the man in the two e-fits? Or not? 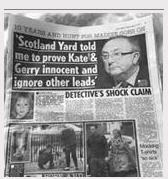 (a) The current DCI, Nicola Wall, or any successor of hers? (b) The current S.I.O. or her/his successor? 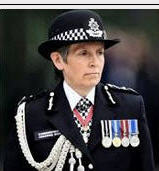 (c) A more senior Met Police Officer? 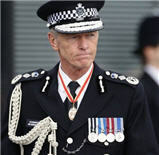 (d) Sir Bernard Hogan-Howe, or any successor of his? 4. If and when Operation Grange is closed, or the investigation is 'shelved', is it the Met Police's intention to provide a report to either (a) the public (b) the Mayor of London's Police Committee (c) the Home Secretary or (d) the Prime Minister on its work and achievements. 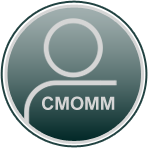 "If a person were to witness and identify someone in a child abduction, why on earth would they engage with the private investigators employed by the person they claim they saw? as the man in the two e-fits? Or not? Secretary or (d) the Prime Minister on its work and achievements?" statutory timescale of 20 working days as defined by the Act. response with the case officer who dealt with your request. complaint within 20 working days. accordance with the requirements of the Act. here for London, working with you to make our capital safer. represent those of the Metropolitan Police Service (MPS). Excellent questions! I shall look forward to reading the MPS response, hopefully within the deadline. Thank you for all your hard work, Tony! A lot of hard work to your usual standards Mr Bennett, may I thank you in advance of any reply, you certainly go the extra mile in all that you do. I feel shamed as all I can muster is responses to topics. I admit I do not have the expertise you have in your field. I value that you do these long arduous tasks on our behalf, never taken for granted, thank you. I also admire Tony B for his determination in trying to get to the bottom of what happened to Maddie. Well done Tony - only wish there were more like you in this world. As you are aware this information and time allocated exceeds the amount of person hours submitted to collate the information and at this present time are unable to provide a reply? Sorry for the sarcasm Tony, but you know the system by now? to the forum Brandytas and thank you for the thanks. Do you have anything else to offer relative to this particular FAO? A lot of water under the bridge since December 2015 - three years ago.